Peter Kwasny GmbH is a German producer of spray paints with a production volume of 30 million aerosol cans per year. The company supplies mainly industrial customers and the large number of different products demands a high degree of automation. 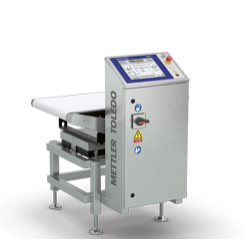 To optimize its production line, Kwasny invested in new automation technology and equipment, including an advanced inline checkweighing system from METTLER TOLEDO. As an aerosol processor, Kwasny must comply with the German Finished Packaging Regulation (FVPO) to ensure weight deviations stay within the statutory requirements. The Aerosol Dispenser Directive (ADD) demands that the maximum fill volume of a spray can has to be 90 percent at 50 degrees Celsius. As spray cans are constantly under pressure, seal integrity testing is mandatory. In addition, every can is immersed in a hot water bath. The resulting pressure raises the spray paint inside the can to one hundred percent of the allowed fill quantity. 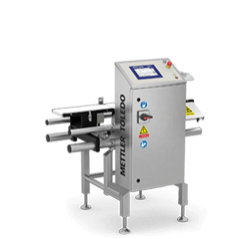 The checkweigher is utilized to check the fill level. If cans are over filled, they could burst either on the production line, in distribution channels or in the hands of the consumer. A major responsibility therefore lies with the checkweigher. Through detailed determination of the upper and lower limits of the fill quantity, Kwasny is able to comply with the FVPO and ADD. Any non-conforming product which deviates from the predefined values is rejected, and fill quantity variations and their causes can be investigated immediately so that corrective actions can be implemented. 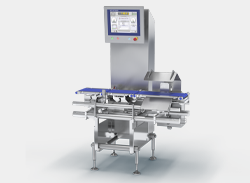 Besides aiding compliance with legal requirements, the inline checkweigher offers other advantages compared to the former manual spot checks on static scales. 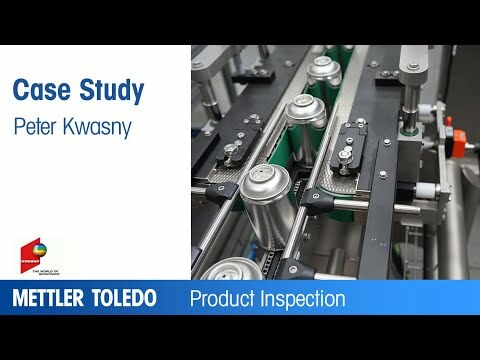 Significant increases in the production line's overall equipment effectiveness (OEE) can be attained and, most importantly, the system is capable of inspecting 100 percent of all products produced. 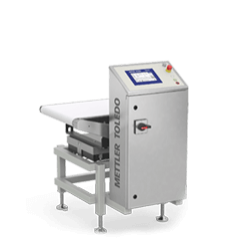 Before applying dynamic weighing technology, weight deviations could be detected only in a spot check, and if they were, each and every product had to be unpacked as a result and weighed one by one on a static scale.